I’m always looking for new and exciting recipes. I have several cookbooks and magazines on my shelves here at home, plus the internet provides an endless supply of good recipes. But what I want are GREAT recipes. Something you’ve personally created and eaten and would serve to a stranger or a family member. – It’s summer, and I’m thinking about chili. – I’d really like to learn how to bake a pound cake like the stuff at the Melting Pot. – Every time I find a barbecue sauce I like, the company that made it stops making it. Be nice to have my own sauce. – Anyone can make a main dish. Can you make side dishes? Most of mine come out of a box or straight from the recipe book they were written in. – I’d like some ideas on what else to do with ground beef. – What do you do with ham? Submit a recipe here or by using the Submit A Recipe link at the top of this page. 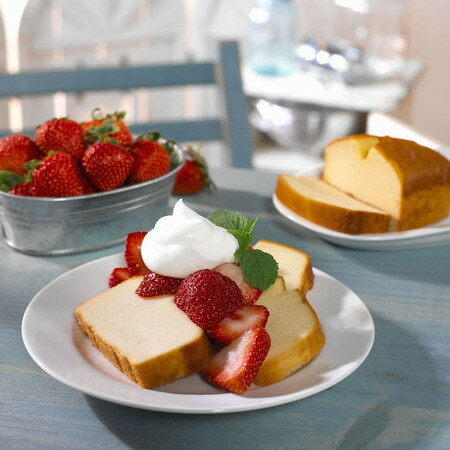 Mrs. Smith's Poundcake, so rich in fat and carb calories.. mmm.. yummy..